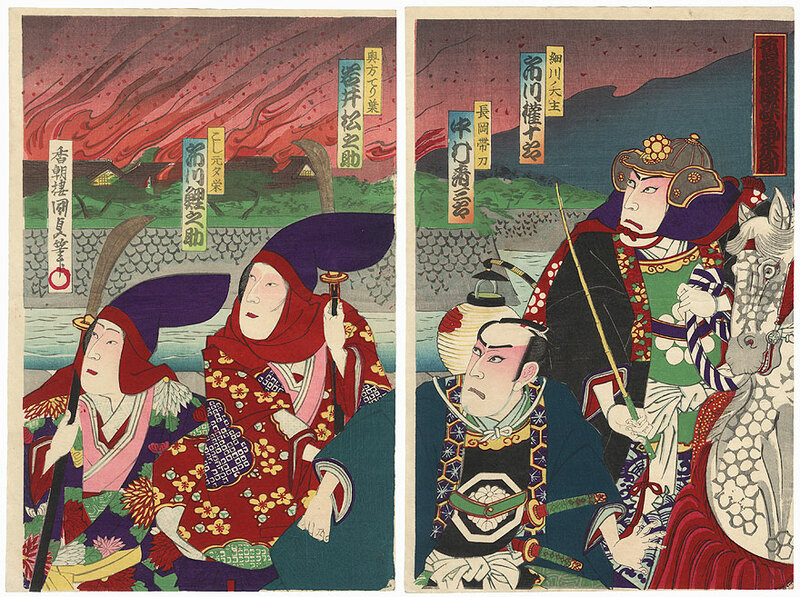 Comments - Intriguing scene of a pair of beauties and two samurai watching a castle burning from a safe distance on the other side of the moat. A general sits astride a dappled horse at right, a riding crop in hand, wearing a battle helmet and a black robe with a red floral collar over his armor. 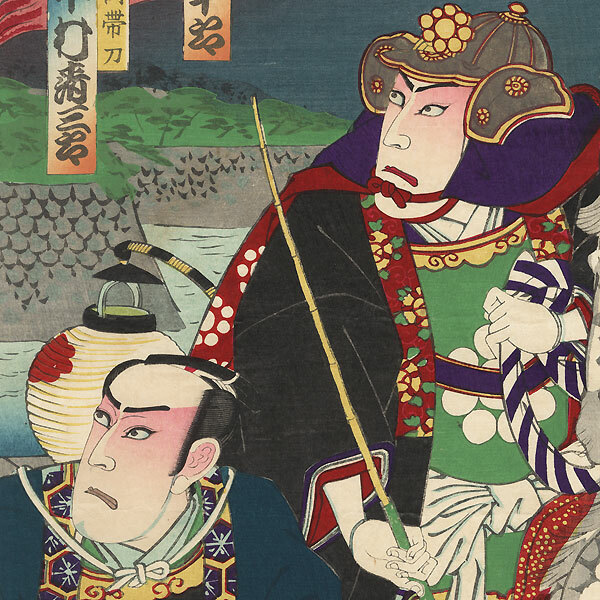 The warrior next to him frowns unhappily, one hand thrown out in alarm as if to keep the general from riding off. The two beauties are armed with naginata, a weapon that all court ladies were expected to be able to wield with skill. Their heads are swathed in tall purple and red hoods. Orange and red flames fill the sky, turning it an eerie reddish color as embers are blown in the wind. 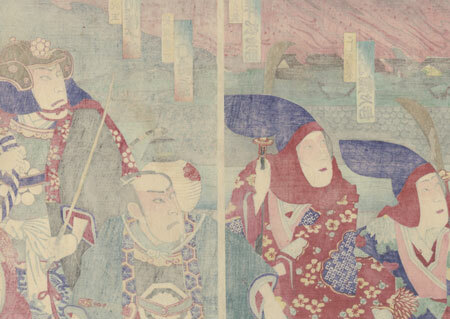 A great image with lively color and fine detail, including burnishing on the black robe. Condition - This print with excellent color and detail as shown. Two separate panels. A few small marks. Please see photos for details. Good overall.